or 6 interest free payments from $6.99 with LAYBUY - Whats this? 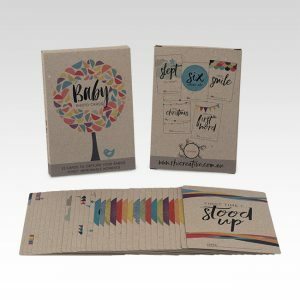 The perfect pregnancy companion, the stylish Belle and Grace Pregnancy Journal was created so that both Mums and Dads-to-be can record the journey towards the special new arrival. The Pregnancy Journal comes with plenty of space to write your weekly cravings, feelings, milestones, memories and notes to baby, and record your growing bump! Plenty of room for photos and letters. Made in A5 size, bound and covered in black or white linen. This Pregnancy Journal provides the perfect place to record all those special moments. Weeks 12-41 including prompts and space to write a note to your baby. We also have available the lovely Belle & Grace baby milestone journals, pregnancy milestone cards and baby milestone cards.